Website Analysis. You might have heard of Google Analytics by now. But as a small business and website owner, what do you need such website analysis tool for? Read on to learn how to analyse your website with Google Analytics for Beginners. Interested in knowing the popularity of information on your website or blog pages? Want to know why people add products to the shopping cart on your website but do not finish their purchase? Then you need to learn the basics of Website Analysis. Unfortunately, a general instruction guide for an optimised website does not exist. So, how can you measure and test whether your website is working well for your web visitors? This is where Google Analytics comes in handy. It is a free website analysis and traffic measurement tool. Using this website analysis tool on a regular basis will help you improve your website based on real data. There is no guesswork needed. And you will be able to discover your website strengths and correct blind spots. Time spent: where visitors stay the longest on your website. Even a simple website analysis will show you a wealth of useful information. 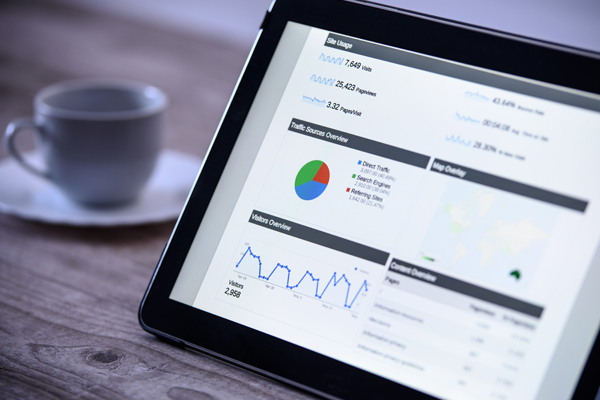 How to set up Google Analytics on your website. Step 1: Sign up for Google Analytics. Insert basic information about what website you would like to track and verify your Google Analytics account by mail. Upload the tracking code onto your system. Step 3: Learn about your website audience. A few hours after setup and property verification, you will be able to see data coming in from your website. Check out the Google Analytics learning videos. Try out the Google Analytics Demo Account. Step 1: Mark internal visits with filters. First, select your report data with filters. Set up basic reporting for your audience, acquisition and user behaviour reports. Without proper filtering, your web statistics will count all visitors both inside and outside your business. Add a filter to exclude your internal visitors, such as business employees. In this way, you’ll prevent biased results. Step 2: Enable demographic and interest reports. Second, enable demographic and interest reports. This will give you a greater insight into the people that visit your website. Step 3: Set up your business goals. Third, set up specific business objectives first. Why do you need the Google Analytics Campaign? Which business goal would you like to achieve? Information: How many visitors need to fill in details on the contact form? Subscription: How many visitors need to subscribe to newsletters? Sales: How many sales do you want to achieve in online purchases? Step 4: Set up conversion tracking. Set up conversion tracking to check the success or failure of your campaigns. Track your campaign with a URL Builder. Step 6: Measure Customer Campaigns. Do not forget to measure the campaign before, during and after campaign time. In this way, you can continue optimising your website on the go and get to know which improvements you need to create a successful campaign.